3 Scalable - adding new connections every week! 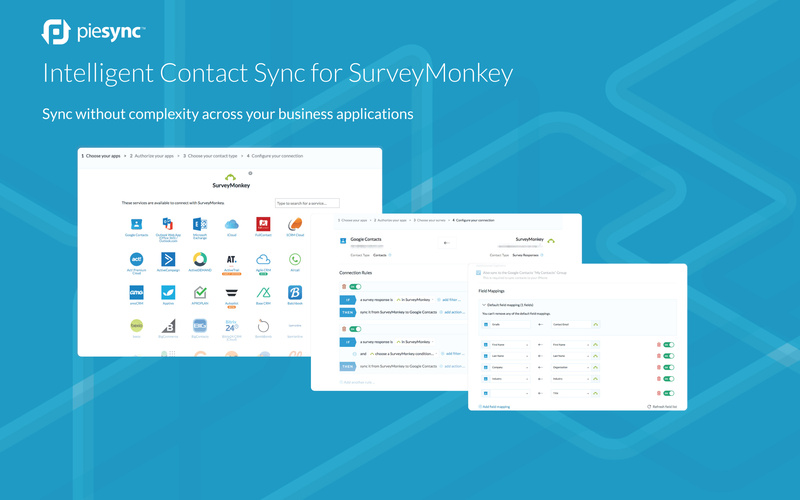 PieSync integrates SurveyMonkey with 140+ applications for an automatic contact sync. Every time you collect a survey response, it is automatically synced with the other app eliminating import/export! Improve your leads and customers’ sales, marketing and service performance by easily and affordably connecting contact data without complexity across your business applications to guarantee relevance and reliability, every time. Join PieSync today and connect your contact data without complexity.